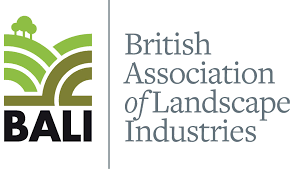 The British Association of Landscape Industries (BALI) is the leading Trade Association for UK’s landscape professionals and delivers exceptional business, technical and promotional support to its members – over 900 professional landscapers, landscape contractors, grounds maintenance contractors, interior landscapers, gardeners and garden designers, fully vetted and approved. MCM (SE) Limited are BALI Affiliate Members and regularly support, promote and sponsor events to help raise the profile of the UK landscape industry. Visit the BALI website to find out more. WRAP has produced a Quality Protocol format for industry guidance during the production of recycled aggregate from waste. The ‘Halving Waste to Landfill‘ commitment is a voluntary agreement undertaken by construction companies to adopt good practices in waste reduction, recycling and the use of recycled and recovered materials. It is organised by the Waste & Resources Action Programme (WRAP). Our new Lightweight Green Roof Substrates are tested by STRI. Their scientists test the physical and chemical characteristics of green roof substrates, performed to FLL and GRO standards as well as their own specific substrate examination. The Fleet Operator Recognition Scheme (FORS) is a voluntary accreditation scheme for fleet operators which aims to raise the level of quality within fleet operations, and to demonstrate which operators are achieving exemplary levels of best practice in safety, efficiency, and environmental protection. Find out more about FORS here.